You can hear the drums and chanting throughout the night of Vigil. 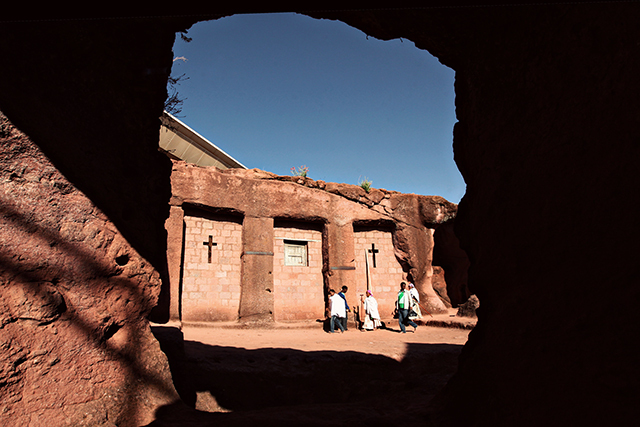 Ethiopia tours are for small groups of up to 20 or private groups of 4 or more. 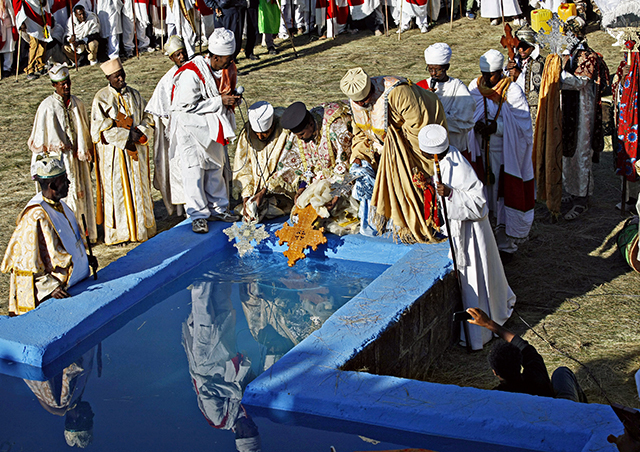 Day 2 of our Timkat, we reach the special ground where the waters are blessed for the Baptism rites. 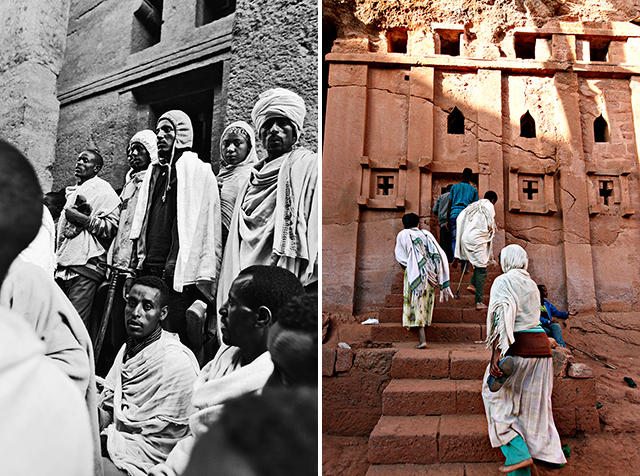 The whole area was crowded, and locals waved lighted tapers as the priests began arriving in all their glory. 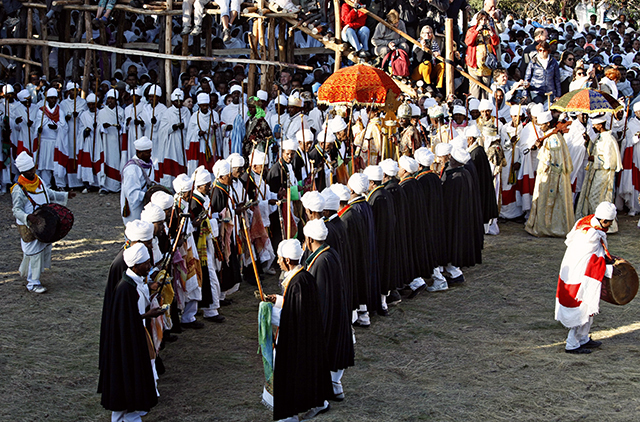 Deacons in their white robes with red borders, and priests wearing black cloaks over their white robes, formed a perimeter around the open space. 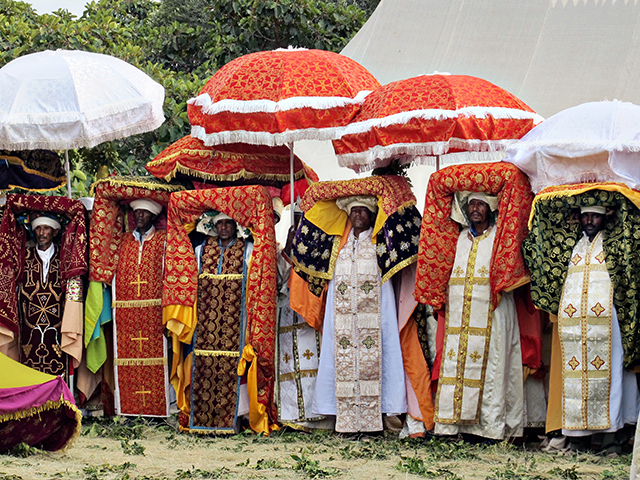 Then the hierarchy arrived in spectacular gear, armed with their umbrellas and beautiful crosses. 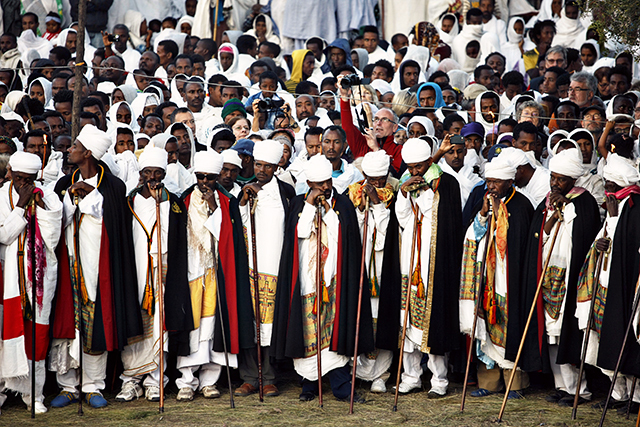 Many of them wore crowns that have been used for centuries. The Black Cloaks performed a slow, rhythmic, carefully choreographed dance to the slow hypnotic beat of drums. Meanwhile the deacons shook cestrums and swayed to the slow beat. 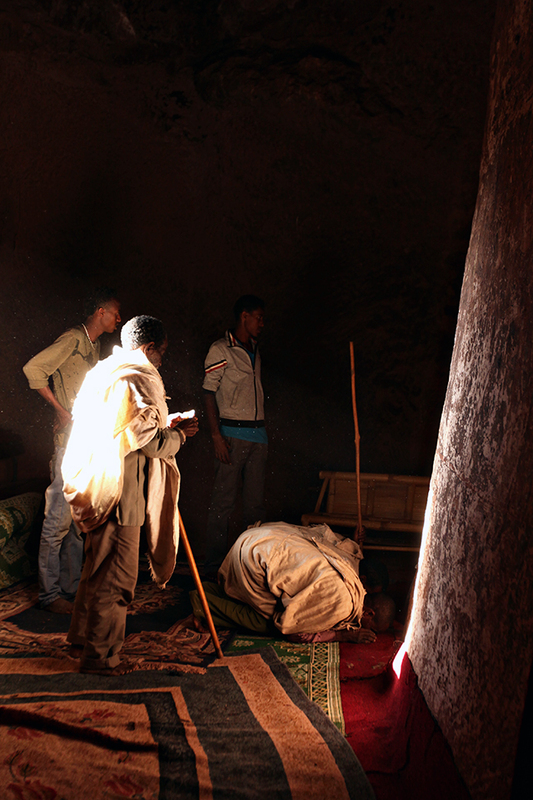 Both groups made ritualistic gestures with their traditional staffs. 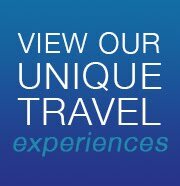 It is fascinating to watch. Finally, after sermons and speeches, the waters are blessed. The “font” is a large cross shaped above ground pool. 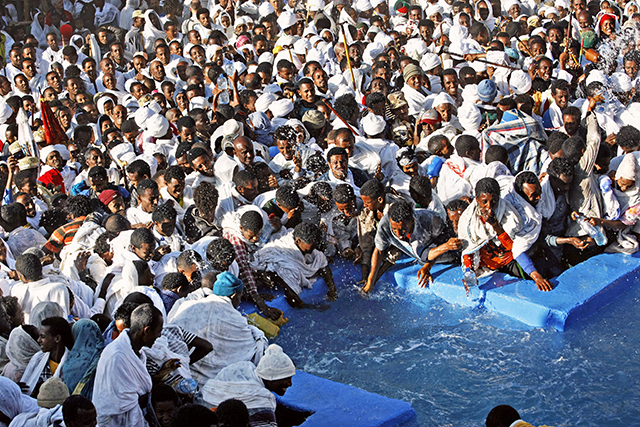 As soon as the serious business is completed the hordes of young (and not so young) men rushed in to touch and splash the Holy Water. It quickly degenerated into a gigantic water fight. Timkat continues on for most of the day. Once the senior priests had recovered, they formed another procession that stopped for some time at the gates of our hotel before moving on. 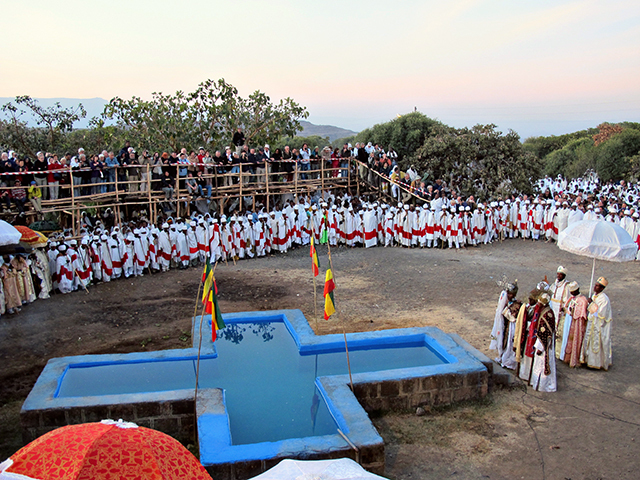 Put Timkat, the celebration of the Epiphany, on your bucket list, you will not be disappointed. 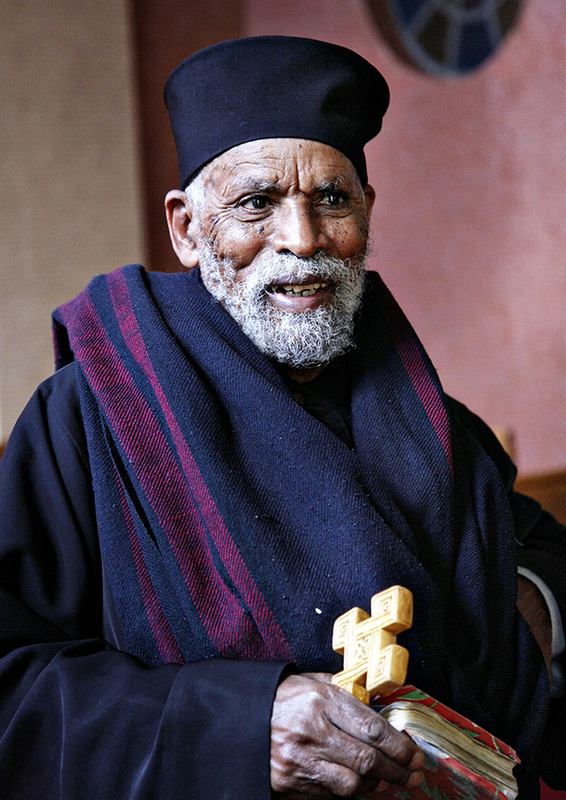 This is just one of the many highlights of your Ethiopia trip. 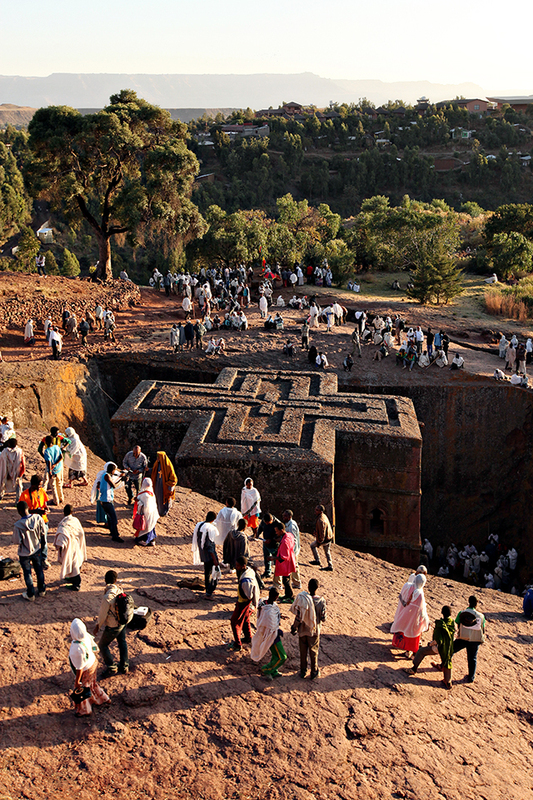 Ethiopia tours are available for small groups of up to 20 or private groups of 4 or more. 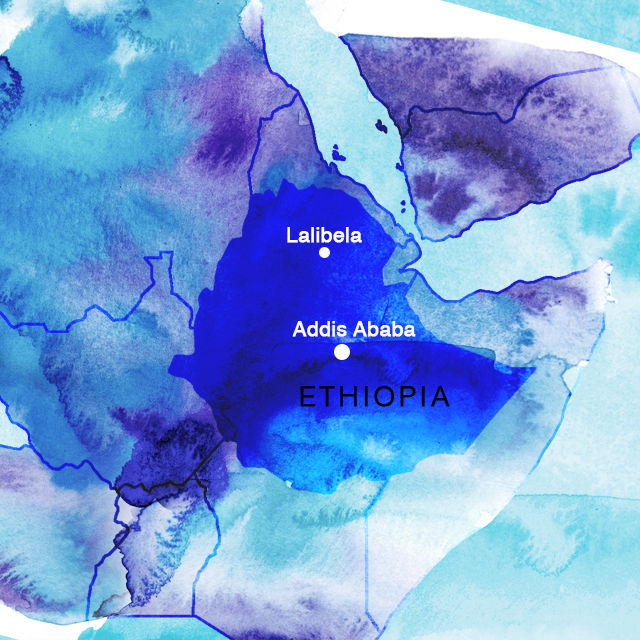 Will you still be proceeding with this trip in view of the unstable political situation in Ethiopia ?